I am a Brazilian from Rio and came to Bali after having spent 6 months in India. When I arrived my first sensation was “Wow, feels like home”, but in reality – other than the cheerfulness of its people, it couldn’t have been more different. There are amazing treasures hidden in the middle of the forests of this gorgeous paradisiac island; rice fields, temples, rivers and waterfalls… and all the BAMBOO! 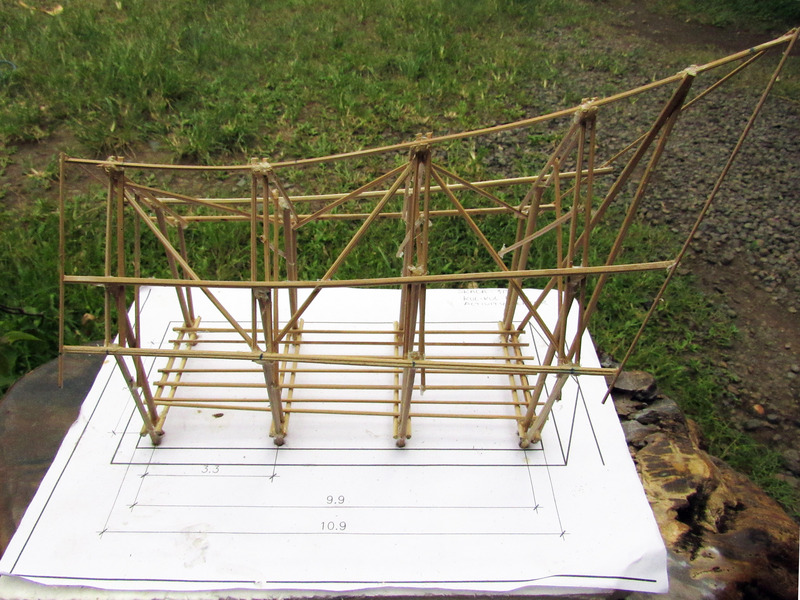 Bamboo plantations and the most amazing bamboo buildings I have ever seen in my life. 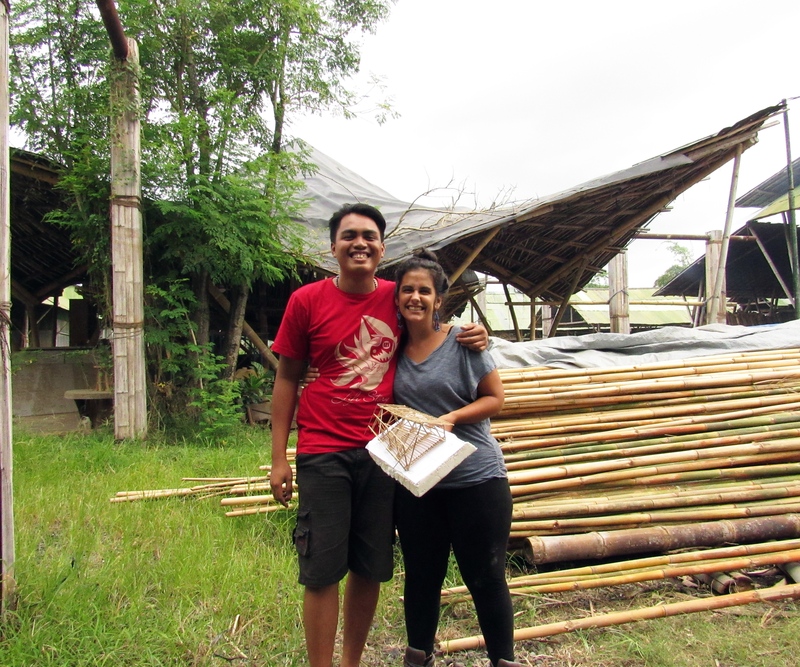 Orin and Maria welcomed me into The Kul Kul Farm (which is also their home) with a big smile, and filled me in on what was happening in this wonderful place. Before I knew it I was designing The Kul Kul Farm Activity Space, a space that would house lectures, workshops, yoga, movie nights…and much more. The first brainstorm was focused on finding the right place for the space in the community area (where there is also a dormitory, the eating area and the central bonfire meeting place). After we decided it would be great to have it in between some coconut trees and have it serve as a frame for the other trees, I started to explore the possibilities of form and shape. For this it was very important to make a scale model of the Activity Space (and Orin really insisted on this besides all of my resistance and stubbornness). To be honest, I hadn’t worked on a scale model in a long time because I was so used to relying on the computer and all my fancy design software. As soon as I got down to actually making the model I rediscovered how much fun it can be and the value of working with my hands to explore design options and possibilities. 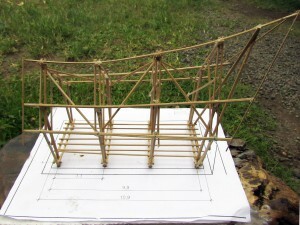 Having a physical scale model also makes a huge difference for the contractors responsible for building the bamboo building, they can relate to this kind of instrument more readily and intuitively than to virtual computer models. Mike, one of Ibuku gardens awesome architects that works for Orin and laughs all day long, helped me out with the glue gun and taught me the names of bamboo in “bahasa Indonesia” (and he also taught me other stuff, like how to say “I would like some coffee please”, essential in the life of an architect, and a Brazilian). 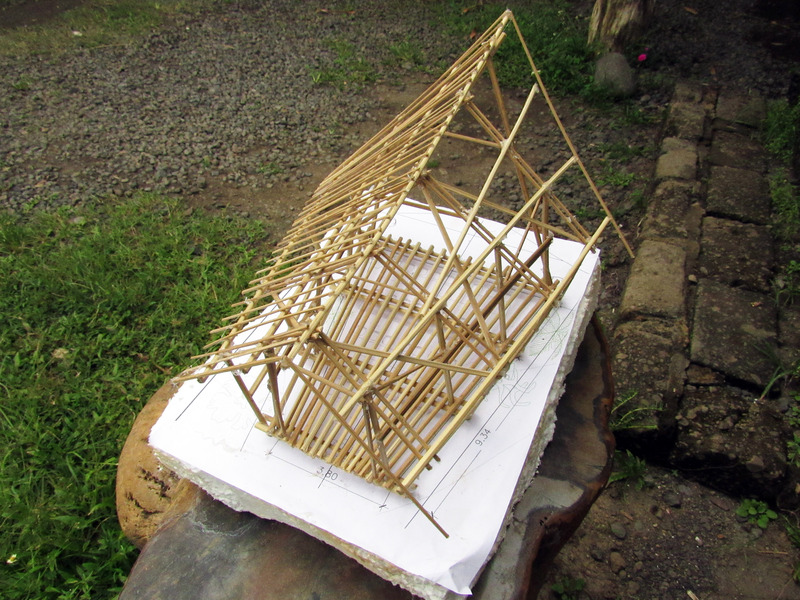 After only 2 models, we got it right and produced a design that has a nice dramatic effect of a “Minang roof”, which was a great fit for the project and the site and also respected the budget. After this step, it was back to the AutoCAD virtual space world to make the architectural drawings and cut list. While I was completely absorbed in my daily designer dilemmas, the farm changed so much! It’s such a dynamic space, things are happening very fast and it just gets more beautiful every time. Soon the Activity Space will start to be constructed and people will actually use and occupy it and (hopefully) have life-changing experiences here! 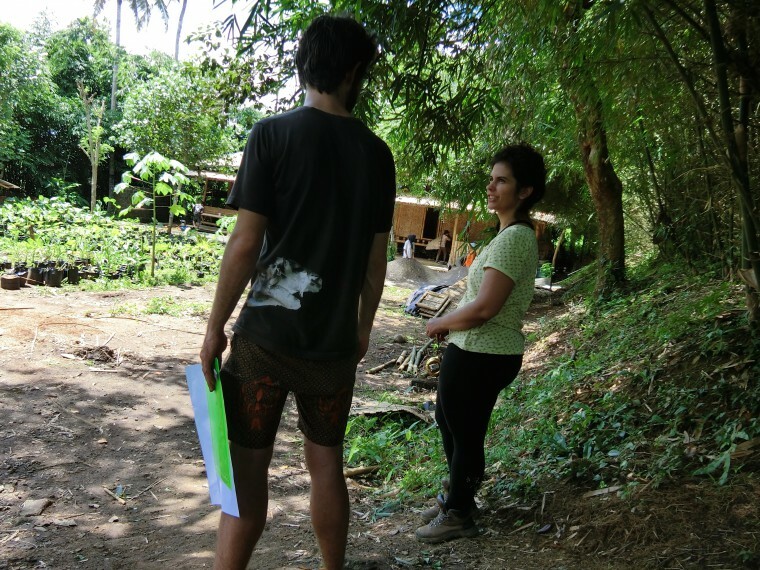 I remember my first permaculture design course in Brazil and how it was one of the most special moments of my life. It was a true awakening and the people who were there are still very dear to me. The Kul Kul Farm has a lovely and nourishing atmosphere, I am sure lots of people will also have experiences of their lives here and I am very grateful for the opportunity to have contributed to making this dream reality.